The end of the year is closing in fast, and in addition to festive holidays, it usually holds attractive deals on new cars and trucks. Each year Kelley Blue Book (KBB) compiles a list of best buys among the new model year, vehicles that offer a combination of price and quality. While dealers will be motivated to make deals on the remaining 2018s, KBB says you shouldn't dismiss the 2019s. "Shopping for a new car can be a daunting task, and with hundreds of options to choose from, it is hard to identify what vehicles earn top marks in pricing, ownership costs, expert evaluation, consumer opinion and more," said Karl Brauer, executive publisher for KBB. The Best Buy awards are broken down within categories so consumers can identify a good buy, no matter what kind of vehicle they're looking for. 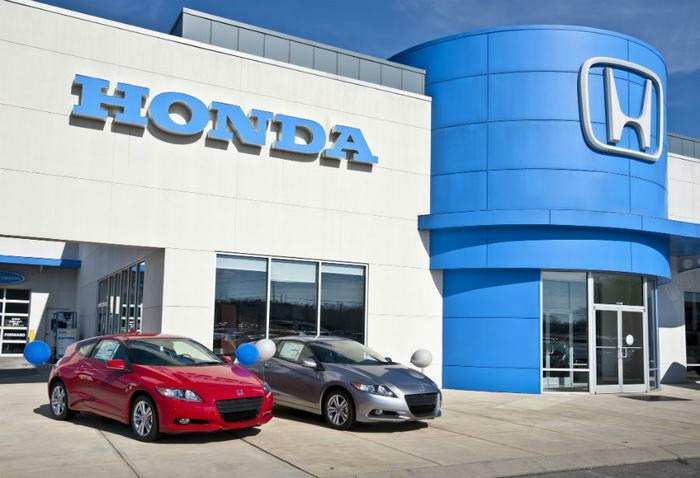 Honda takes the top spot in both the compact and midsize categories. The Civic was named the top compact, earning points for its fuel efficiency, affordable sticker price, and history of trouble-free service. The Accord was named best midsize sedan for a second year. KBB says simply "it's the finest midsize sedan money can buy," and if you don't look closely you could mistake it for a luxury brand. In fact, Honda's win streak does not stop with sedans. It very nearly ran the table among SUVs, driving off with the top spots among compact SUVs and midsize SUVs, losing only to Hyundai in the subcompact SUV category. The Hyundai Kona won over the KBB editors with its "lively style" and "superb controls." The Honda CR-V took the prize for best compact SUV because it's "safe, practical, and easy to own." The Honda Pilot was named best midsize SUV, offering consumers a lot of useful features for the money. SUVs remain the most popular vehicle segment for consumers, and the Ford Expedition is KBB's pick as the best fullsize SUV. Ford wins praise for moving away from the ideas of the traditional full-size SUV and adopting a lighter frame to enhance fuel economy. A brand new model, the Volvo XC40, claimed two KBB awards. It was named the best luxury subcompact SUV and the best new model for 2019. Honda returned to the winner's circle, as the Odyssey was named the best minivan. KBB says the Odyssey has all the essentials, including a solid chassis, seats for eight, a pair of sliding side doors, a spacious cargo area, and an unbelievable number of cupholders. For consumers in the market for a new pick-up truck, KBB gives the Ford F-150 the nod for the fifth year in a row, combining creature comforts with serious capability.